Jill Stein dismisses count where she and Gary Johnson covered the deficit. Green Party candidate Jill Stein does not view herself or fellow third party candidate Gary Johnson as spoilers in the tight state races that broke for Donald Trump in the historic upset election. While Johnson collected enough votes to cover the deficit between Trump and Clinton in multiple states, Stein noted, she only received enough in one: Michigan. The difference between Trump and Clinton was only 12,686 votes, and Stein received 51,444 votes while Johnson received 172,937 votes. Still, she thinks it's inaccurate to say her candidacy spoiled the race for Clinton because exit poll data suggests that only one-quarter of her supporters would have voted for Clinton, Stein said. She cited exit poll data that 25 percent of her supporters would have voted for Clinton, 15 percent would have voted for Trump and 55 percent said they would have stayed at home. While Stein didn't have the sufficient number of votes to tip the balance even if they had all voted for Clinton or Trump, there are at least two other states where Johnson surpassed the deficit. 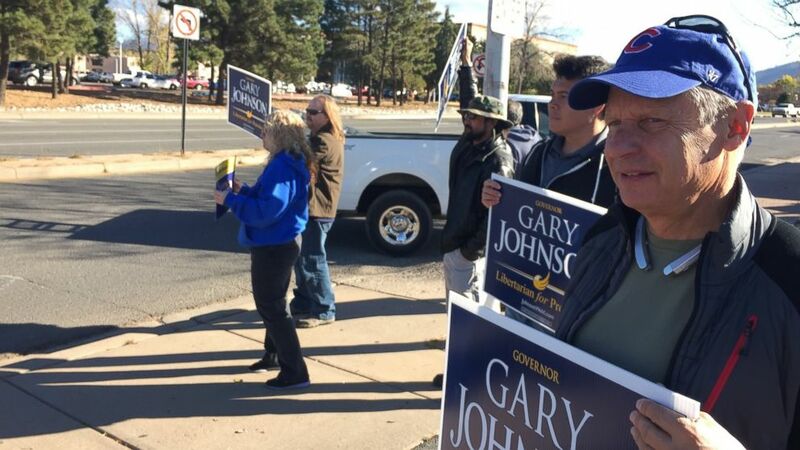 (Morgan Lee/AP Photo) Libertarian Party presidential candidate Gary Johnson joins sign-waving political supporters at an intersection outside the state Capitol in Santa Fe, New Mexico, Nov. 8, 2016. In Florida, there was a 119,770 vote differential between Trump and Clinton, and Johnson earned 206,007 votes in the state while Stein earned 64,019. In Pennsylvania, the margin between Trump's win and Clinton was only 68,236 votes, and Johnson earned more than double that with 142,653 votes and Stein had 48,912 votes. Stein maintains that to try to limit the number of candidates in the name of avoiding spoilers goes against the idea of a free vote. "I think to suggest that the solution to a wounded democracy is less democracy is wrong,” she said. “The idea that 'having more choices is bad' is a very dangerous idea. What that says is that we should be limited to two state sanctioned parties. How is that different than Russia?"